I care for infants, children, and adolescents while placing special emphasis on their immediate environment. I believe that every child’s health is a reflection of their surroundings. A child’s family is his or her most important influence. In addition to family, I place special focus on the dietary and physical environment of every child I see. I find it an honor to care for the children who are my patients, and I strive to create a unique relationship with each child and family in my practice. My greatest goal is to provide the best care to children as I watch them develop into healthy and active individuals." Beginning his professional life as a research scientist in Boston, Dr. Weill never expected that volunteering at a nearby hospital would change the course of his career. It all started because of his interest in medicine, but inspiration struck one fateful evening when he was asked to transport a 4-year-old boy for overnight observation. He could tell the boy was frightened about staying in a strange place, but he was brave because he needed to be. In that moment, Dr. Weill realized there is no better motivation than the care of a child. And so he continued to volunteer in his spare time, overseeing children at a homeless shelter while their mothers took a much needed rest. This experience strengthened his desire to work with kids, and ultimately led him to enroll in medical school. As a med student, Dr. Weill gravitated toward children in all subspecialties and truly found his calling in pediatrics. He went on to complete his residency at Oregon Health & Science University, where he served as chief resident and founded a clinic that specialized in the care of overweight and obese children. Working as a pediatrician, Dr. Weill is thrilled to become an integral part of his patients’ upbringing. Parents honor him every day by entrusting the care of those most precious to them. He loves watching his patients travel through life and develop into wonderful individuals. He sees himself as part of the team of people who care for the child, supporting parents as they oversee and guide development. Dr. Weill is often accused of being full of trivia, loves all things outdoors, and has a keen sense of adventure – he’s traveled to more than twenty different countries! He’s always working toward a new fitness goal and is fond of sailing whenever he has the opportunity. His wife and twins are very dear to him, and they enjoy being active together as a family – hiking, camping, or just relaxing in the park! "I really disliked our last pediatrician so I did my homework and found Dr Beau Weill at this location (which by the way was listed in the top 5 in PDX Parent magazine) and I am so glad I switched! DR Beau and everyone I have encountered has been so pleasant to work with. DR Beau really listens and treats my son so well he loves to go to his appointments! Dr Beau also made me realize some things I guess I had gotten used to and didn't know could be a problem. He didn't make me feel like a bad parent but instead reassured me most parents do get used to their kids behaviors and I left feeling better informed. I highly recommend this place and our DR!" "I’ve been taking my FOUR boys to Dr Weill specifically for over 6 years. EVERY Dr in this office is professional, trustworthy, very educated and well trained! I’ve been to other out of state and in state pediatric offices and now being at Metropolitan Pediatrics, I will never go any where else. What I love, is they are always on time with my appointments; even when I’m the one showing up right at my children’s appointment time (4 boys, run a business, crazy mom life, #ithappens), they are still on time with the appointment! The nurses are as thurough as they need to be with super great attention to my children. When the doctor comes in, he listens to me and my concerns. He listens to my children and their concerns and then has an answer for me. Dr Weill specifically is such a genious in his profession, I never have to question or second guess his judgement call on my children!! It’s wondeful and such piece of mind!!! Bring your children here and start a long journey of health and piece of mind with Metropolitan Pediatrics. (I sound like I just wrote their add). Promise I’m a “keep my kids healthy mom” that just loves this office!!!" "I cannot say enough nice things about this clinic! 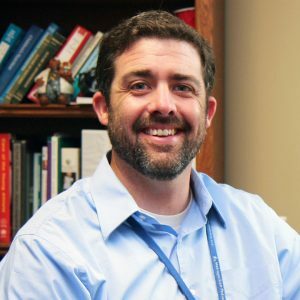 Our son's primary pediatrician is Dr. Beau Weill and we are always impressed by his bedside manner and expertise. Our son has seen a few other providers on a last-minute basis as well and they all have been equally great! The advice nurses deserve a gold star and a half for putting up with us as first-time parents too!" "We have been patients for 3.5 years now and have two kids. We have never had a bad experience and love the staff. Dr. Weill is an amazing doctor and is so wonderful with my kids." "Excellent Service. Awesome Dr. Weill. Our 3 boys only Doctor since they are born. Excellent diagnosis always correct Thank you so much Dr. Weill we are very happy to have you for our kids"
"Great doctors! Dr. Weill is amazing with our baby boy, and we had Dr Chavis one visit, and he was amazing as well. Both very attentive and answered all our questions (and put our stresses at ease). Everyone there is helpful and really seem to love kids. Glad we found such a great place for our son!"